10 Oct 2018 --- Climate change is a hot topic for the food industry with many key players setting ambitious goals to reduce greenhouse gas emissions, cut down on waste, use energy efficiently and streamline strategies to tackle what is a profound challenge with direct implications on food safety, supply chains and raw materials. The notion of how big business will contribute to the fight against climate change is one of the key issues being debated after a leading body of experts, the Intergovernmental Panel on Climate Change (IPCC), issued its starkest warning yet this week. With clear benefits to people and natural ecosystems, limiting global warming to 1.5°C compared to 2°C could go hand in hand with ensuring a more sustainable and equitable society, says the IPCC report which follows three years of research. The study says that a rise of more than 1.5°C is risking the plant’s livability and this could be exceeded by 2030 unless drastic steps are taken now. This level of warning raises questions about how society can save the world from “climate catastrophe” and how opportunities remain open for consumers and corporations to work harder to fulfill the unprecedented nature of the changes that are required to limit warming to 1.5°C. This includes changes to energy systems, changes to the way land is managed, “changes to the way we move around with transportation,” according to Professor Jim Skea, who co-chairs the IPCC. How are some of the key players in the food industry reacting? Global corporation Cargill – which trades, purchases and distributes grain and other agricultural commodities and produces food ingredients such as starch and glucose syrup, vegetable oils and fats for application in processed foods and industrial use – says its a vocal advocate for the critical role business plays in tackling climate change. “The latest IPCC report reaffirms that we cannot ignore the impact of a changing climate,” a Cargill spokesperson tells FoodIngredientsFirst. FoodIngredientsFirst also recently spoke to Julian Chase, CEO, Cargill Starches, Sweeteners and Texturizers, about climate change, how the European drought is impacting agricultural output and what the company is doing to spread its bets in terms of supply. “I don’t know whether or not that is a primary driver of investment. We are concerned about climate change and Cargill made its commitments to reduce greenhouse gas emissions. We have always had a global network and that will not get smaller – our business does have a lot of regional flavor to them,” he said. Many of the products we make in a region come from there specifically,” he said. Chase adds how Cargill has the capability to manage the flexibility of supply. “One of the advantages of having a global network like ours is that we do have the ability to make products in multiple locations. Not everything, but many things, so we have some flexibility to manage the security of suppliers for our customers,” he continues. “That’s a huge deal for our customers who have brands on the shelves. Our ability to be a trusted supplier that you can count on to have your products turn up on time and in the expected condition, will not become less so in times of volatility.” You can listen to a podcast interview with Chase here. Thomas Lingard, Global Climate, Advocacy and Sustainability Strategy Director at Unilever explains how the business case for climate change is clear. The British-Dutch multinational consumer goods company is taking action across its value chain, from sourcing renewable energy in its operations to ending deforestation linked to the production of agricultural commodities. 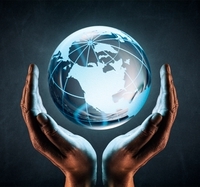 “We also believe that the transformational change the world needs won’t be achieved without broader systemic change, which is why we advocate for public policies consistent with the vision of a world of Net Zero Emissions by 2050,” he tells FoodIngredientsFirst. Furthermore, explains Lingard, Unilever (together with other industry organizations) committed in 2010 to achieving zero net deforestation associated with four commodities – palm oil, soy, paper, and board and beef) that are significant causes of large-scale deforestation, no later than 2020. The Swiss multinational food and drink company says that over the past decade it has halved the greenhouse gas (GHG) emissions from its factories per kilo of product. Nestlé is committed to lowering the GHG emissions associated with the production and distribution of its food and beverages, by improving energy efficiency, using cleaner fuels and investing in renewable sources. For example: switching from long-distance road transportation to rail or short-sea shipping in Europe, opting for wind power to supply energy to its factories in Mexico, and installing wood-fired boilers at some of its factories in France. “We believe that the IPCC report highlights the urgent need for governments to support effective land use governance to help stop deforestation and facilitate the use of degraded land, to continue to support moves away from fossil fuels and towards renewable energy and to facilitate building resilience to climate change in rural communities,” the spokesperson concludes. Climate Change Greenhouse Gases Food Security Energy Renewables Waste Supply Chains Unilever Cargill Nestlé Clean Fuels Transportation Deforestation Intergovernmental Panel On Climate Change (IPCC).